I just got these great insect repelling bracelets from Eco Defense. These are great for summer time, which is upon us. We love to spend as much time as we can outdoors during the summer and since we live in Oklahoma where the national bird is mosquitos spending time outdoors can end in a bunch of itchy bug bites. This great five count set of bug bracelets is a great easy way to keep those pesky bugs off of you. Just slip it on your wrist, it has holes with a pin on the other end. There are a bunch of different holes so you can adjust it to pretty much any size. We even use these for the kiddos and just cut off the excess. I use it just as much as my six year old so it really is customizable. They each have insect repellant on them, they do smell like insect repellant so that might be about the only downfall of this product. Once you put it on though you are safe from bugs while you are outside. I love this product because I hate covering myself in sticky bug spray and I really hate putting it on my kids not knowing what all chemicals are in it. Just slip this on and you are ready to spend some time outdoors pest free!! ✔︎ NO MORE BITES – Stop getting attacked by mosquitoes every time you step foot outdoors. Eco Defense All Natural mosquito repellent bracelets are 100% guaranteed to help repel mosquitoes off. ✔︎ ALL NATURAL – Eco Defense Mosquito Repellent Bracelet is infused with ALL NATURAL mosquito repellent oils; Citronella, Eucalyptus, Lavender, and Mint Oils provide long lasting protection without the dangers or typical mosquito repellents. ✔︎ NO CHEMICALS OR SPRAYS – No DEET, No SPRAY, No Chemicals. 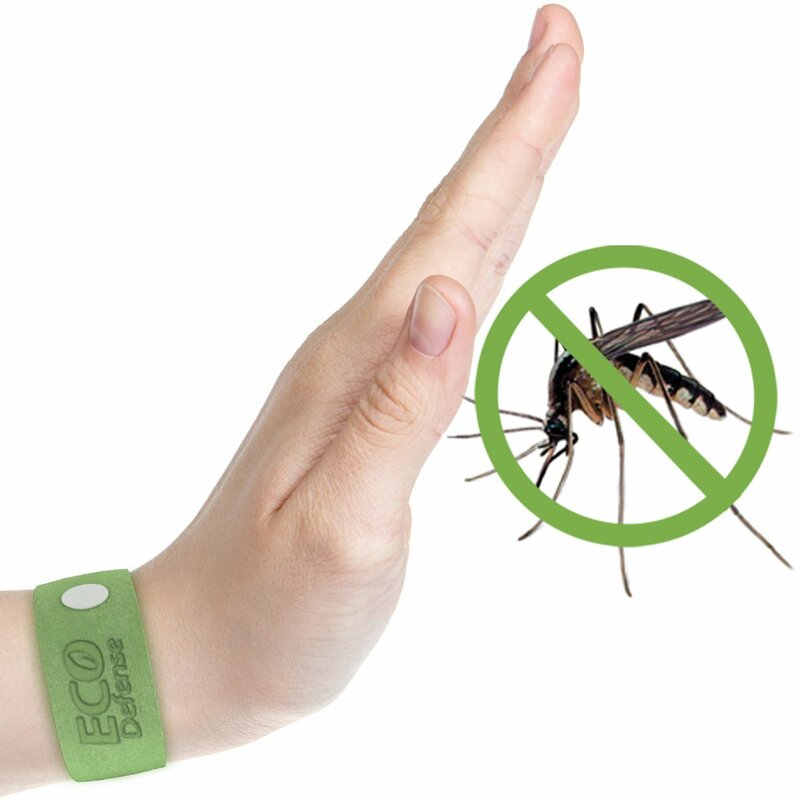 Like All Eco Defense products our mosquito repellent bracelets are completely natural and safe. Safe for kids, adults, everyone in the family. ✔︎ ENJOY THE OUTDOORS – Enjoy the outdoors again! Each pack contains 5 easily adjustable bracelets providing over 150 hours of protection! ✔︎ MONEY BACK GUARANTEE – Eco Defense products are guaranteed to help you repel off mosquitos. If your not satisfied for any reason at all. We will refund your entire purchase. No questions asked.